We are inundated with rules that don’t exist. Not speed limits and tax laws, but the seemingly invisible norms, assumptions, and superstitions that we follow (often subconsciously) and which drive our lives. The more I write and talk about them, the more I uncover. And there is no shortage in the realm of education. My wife Kim and I homeschool. In the grand scheme of things, we’re in the shallow end of the pool; the oldest of our three children is only seven. But these past several years may have been the most important of all, because we’ve had to un-learn pretty much everything we knew about education. It was especially challenging for Kim, who is a former kindergarten teacher. After a five year career, it’s taken at least that long to slowly purge all of the things she kept from her classroom because, frankly, we don’t need them. We have a really good foundation beneath us, because we’ve taken the time to identify, and consequently ignore, several rules that don’t exist. Here are a few we’ve had to break so far. 1) Thy children need a teacher in order to learn. Kids are natural learners. They don’t need to be taught anything, except maybe how to find answers. But their passions and natural curiosity will drive them, if you are willing to get out of the way. Which, of course, schools are not set up to do. Although Kim was “trained” as a teacher, most days it’s more of a hindrance than a help. We have tried to see ourselves more as “coaches,” rather than “teachers.” Perhaps it’s semantics, but we think of a good coach as someone who observes, asks questions, and helps facilitate progress by creating situations and environments specifically tailored to the individual. That includes paying attention to a child’s interests and watching closely for the things they show a proclivity for. And then strewing things about that might take them to a new level. Or taking them on a field trip. Checking out some books from the library. Connecting them with a mentor. Or suggesting a few tips to help them solve a problem. It takes a lot of faith and trust to take on this role, but if you do, it won’t be long before you’re learning amazing things from them. 2) Thy children need curriculum in order to learn. We’ve been to a number of homeschooling conferences, and I have noticed a trend in many families that has also played out in ours. At first, a curriculum is a security blanket. It gives you the peace of mind to homeschool because it feels like a set of instructions. Follow them and you don’t have to worry as much about messing your kids up. But eventually, curriculum gets in the way. It takes away freedom (which I think is the best part of homeschooling) by introducing rigidity, setting arbitrary milestones that stress you out if your kids don’t meet them in time, and inducing guilt if you don’t keep pace with the prescribed timeline. Most families I see who have been homeschooling for a while often start with curriculum of some sort. Then, after experiencing various degrees of frustration, they use it less and less, until oftentimes, it is disregarded altogether. 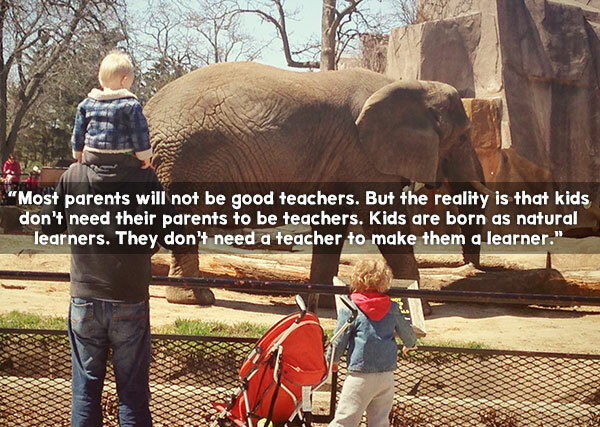 Indeed, adults don’t need prescribed curriculum to learn new things. Kids don’t either. 3) Thy children shalt know certain things by certain ages, or there is something wrong with them. 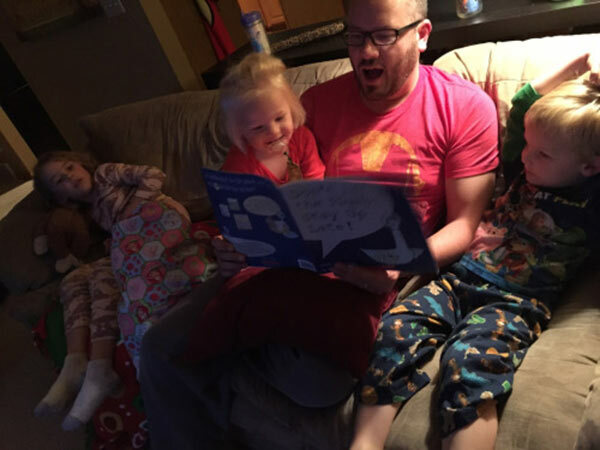 As good, cute, new homeschooling parents, Kim and I bought the classic book, “What Your Kindergartner Needs to Know.” It felt important to have a yardstick to measure our progress. My first concern was discovering things in the book that I didn’t even know. It wasn’t long before the book took a one-way trip to the recycling bin. Babies don’t learn to crawl, walk and talk at the exact same time. According to Parents.com, “most kids start taking their first steps between 11 and 15 months, but this milestone is hugely variable, and anywhere from 9 to 18 months is really considered normal.” Most people understand that there is a range here. What perplexes me is that as soon as we put them in school, we suddenly expect children to develop at the same rates. Heaven help the child who is not reading by the end of kindergarten. Even if he is uncommonly advanced in math, there will be much wringing of hands, and he’s likely to be labeled as learning disabled before he enters first grade. I find it fascinating that we put so much emphasis on what our kindergartner, third grader, or sixth grader “needs” to know, and yet you will not find any books called, “What Your Thirty-Nine-Year-Old Needs to Know.” Do I really care if my dentist has read and understands “Taming of the Shrew?” If, after a certain point (usually high school), we don’t really care what a person knows, why do we ever? Yes, I know there are certain developmental red flags that are important to pay attention to. But let’s chill out on the artificial timeline. There is a rule of thumb I have instituted for myself, that although borders on ridiculous, actually keeps me from acting as such. If my daughter is having a hard time letting go of her pacifier, or my son seems to be too old to be carefully backing off of a curb on his hands and knees, I ask myself, “Is it likely that they will still be having this issue when they go off to college?” The answer, of course, is always “no.” It helps paint a ridiculous picture in my imagination, which in turn reminds me how ridiculous it is to force our children to develop according to arbitrary schedules. 4) Politicians know what’s best for thy children. Of course, the controversy du jour is Common Core. But this is only the latest in a long line of legislation made up by politicians about what is best for our children. There are usually many reasons these legislations come to be, but sadly, “what’s best for our children” is not often at the top of the list. As a case in point, any early childhood education professional worth his or her salt will tell you that the most important thing to the development of young children is play. 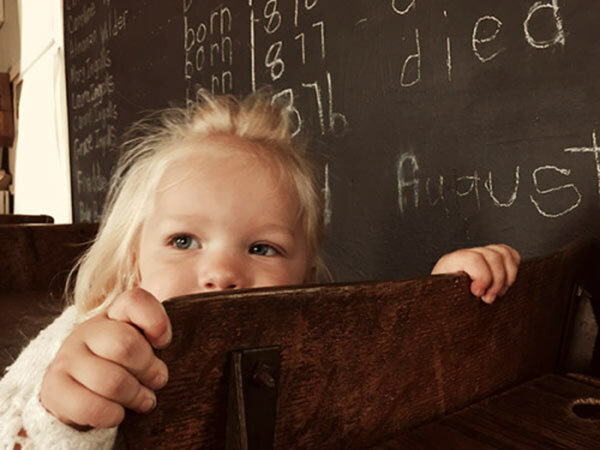 In 1895, Friedrich Froebel, the father of kindergarten, said, “Children must master the language of things before they master the language of words.” He said it 120 years ago, but it’s still true today. 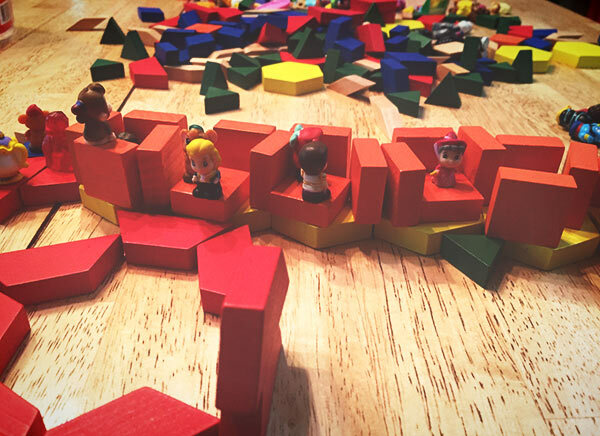 The way to learn about things is through experiential play, and it is a time consuming process that cannot be hurried. And yet recess and free play is the very thing that is being eliminated from kindergarten classrooms across the country, in favor of more structured activities in a race for higher test scores. If politicians really cared what’s best for our kids, they might be a little more interested in making sure they’re not saddled with such astronomical debt. Politicians are notorious for making short-sided, politically expedient decisions in all kinds of matters. It hardly makes sense to assume they’d make an exception when it comes to education. 5) Thy will kill thine offspring if forced to spend every single day with them. I was a little nervous about this one myself. You see posts on Facebook from parents who are cheering the end of spring break or lamenting an unexpected snow day because their kids are diving them up a snowdrift. Then I read a post by Penelope that made perfect sense and which I found to be completely true. She talked about how the most difficult time to deal with kids are when they are clingy and fighting for your attention. But when you take them out of school, they see you all the time, so they don’t need to be clingy, and “don’t have to do insane tricks to get the small moments of attention they can get after school.” Now this is not to say you don’t need breaks from each other now and again, especially if you are an introvert, as Kim and I both are. But, as ludicrous as it may sound, your kids actually become more enjoyable to be around the more time you spend with them. 6) Thou shalt care what other people think. This may be the most important rule one needs to break before embarking on the adventure of homeschooling. 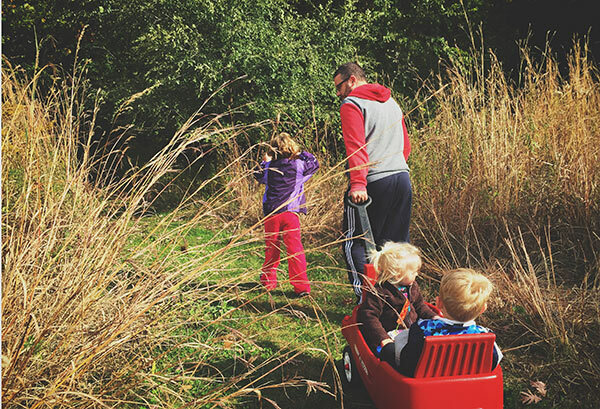 Although it is more popular than it’s ever been, homeschooling is not mainstream. It requires no small amount of courage to go against the grain, doing things differently than your friends, neighbors, and likely, even your own parents. There is a measure of safety in going with the flow, and following rules that don’t exist. Because if things go awry, at least you can say you did what you were “supposed” to do. If you deviate from the path, and your kid doesn’t “turn out,” the only one to blame is you. But alas, our children don’t need us to transfer our accountability to someone else. They need us to lead, to look at the facts, and be mindful of (and honest about) the decisions we make. Being a great parent that turns out amazing kids is hard, because there is no easy-to-follow recipe. But if you ever even hope to have a shot, you’ve got to be willing to break a few rules. #5 is soooo true! Having homeschooled and outschooled, every vacation we have to relearn how to be with each other semi-constantly. Back when we hoeschooled, we knew each others’ rhythms and it was just another version of normal. I miss my kids. Fortunately, they are awesome travelers, and a good roadtrip can reconnect us like magic. Yay for you! I homeschooled(unschooled) my youngest before it was anywhere near accepted and so I took a lot of abuse for it. He is 24, brilliant and successful. He loves learning and continues to study things on his own because he thinks it’s fun.I agree with everything you say here. 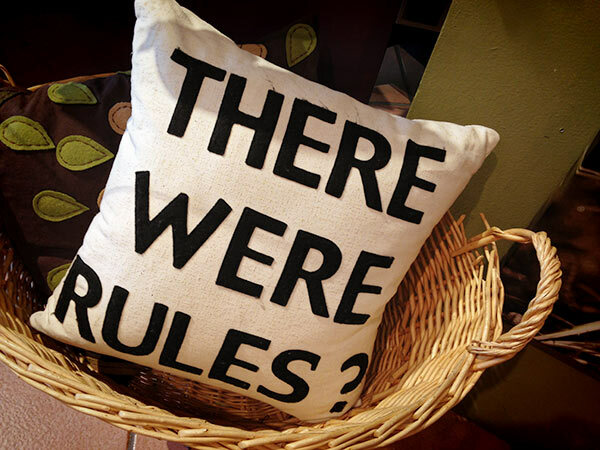 I kept my older kids home from school when I felt they needed a rest from all the rules. I wish I had homeschooled them all. Life is fun to explore. You don’t have time to do that when you go to school. thanks for this!